The city is blanketed in pure white snow. 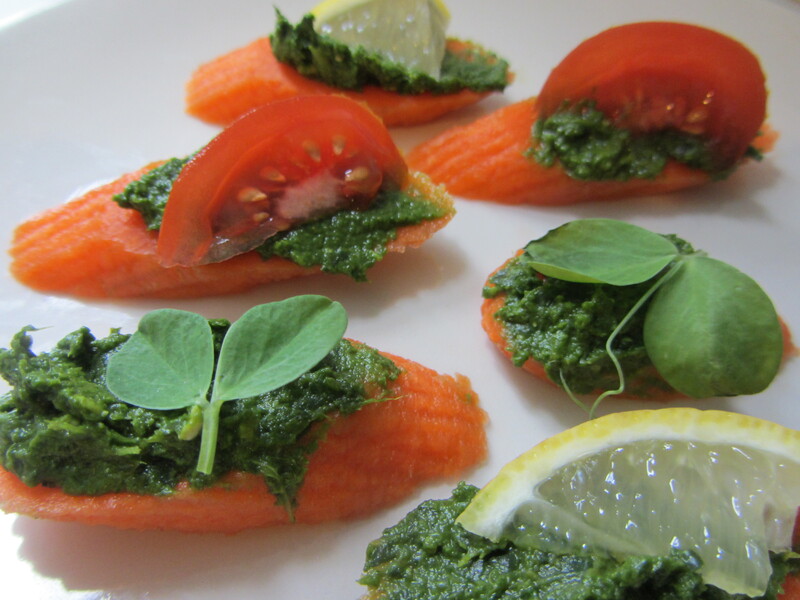 I sent my children off to school this morning with these flavorful, bright colored canapés in their bodies and in their minds. When I posted this kale pesto recipe on Sunday, I mentioned we’d be eating this all week. We tossed it with spaghetti for dinner last night and spread it on carrots for breakfast today. Stay tuned…. Process Remove any tiny hairs and ends from the carrots. 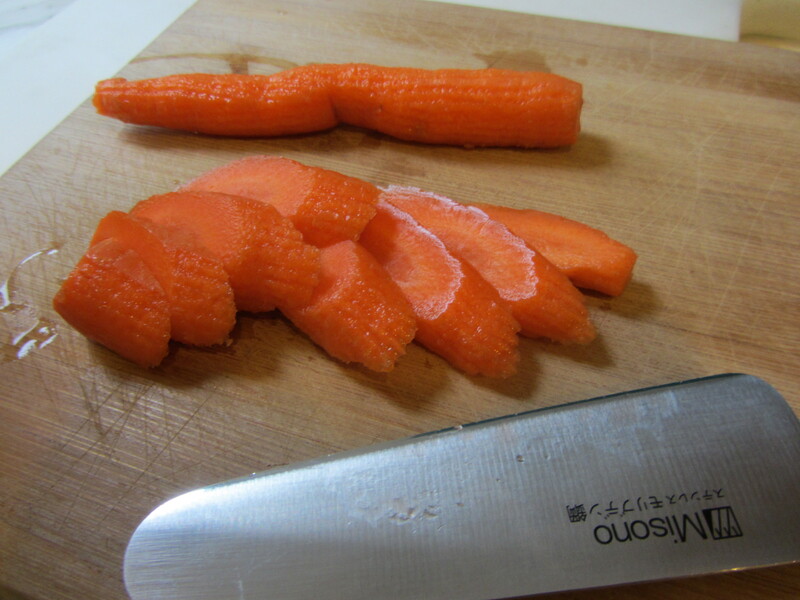 Scrape any unwanted brown spots from the carrot skins and wash them. Wash tomato and pea shoots by immersing in water in separate bowls. 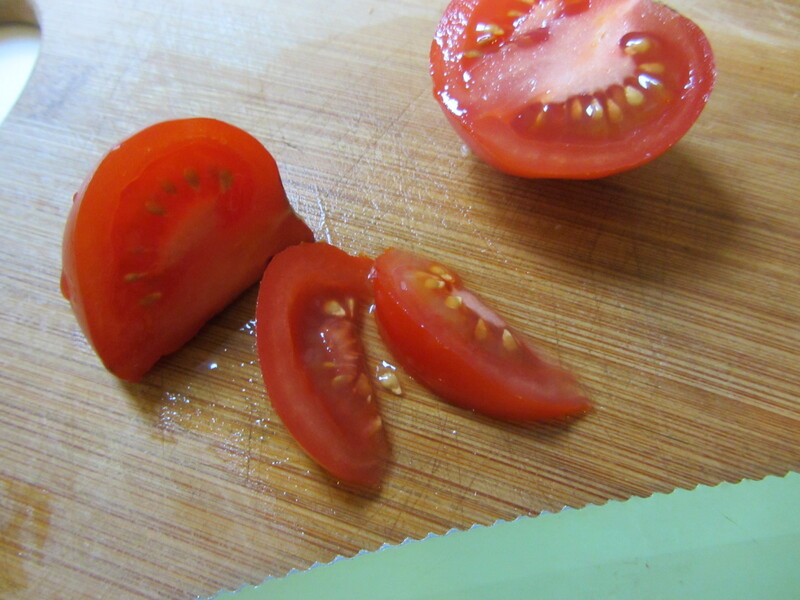 Use a serrated knife to slice the tomato in half, lengthwise and then cutting thin wedges. 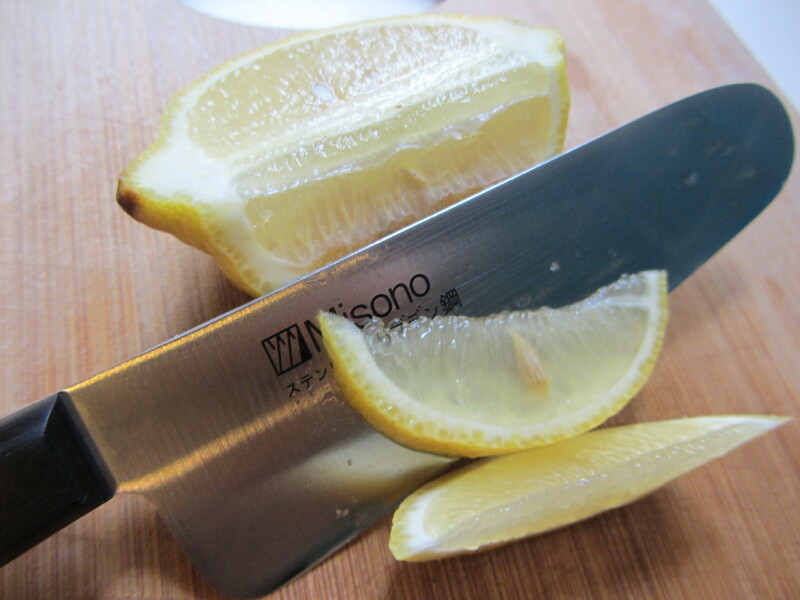 halve the wedges again and set aside. 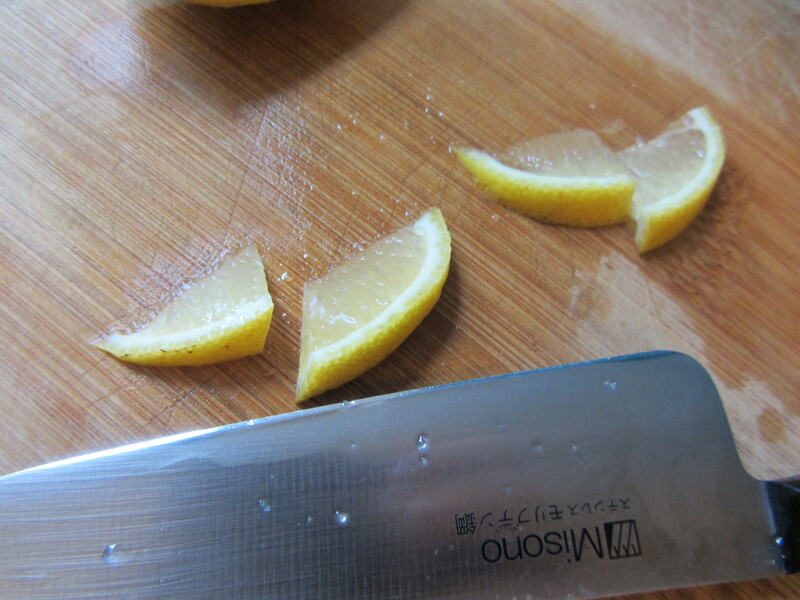 Use a good vegetable knife to slice carrots on a diagonal into quarter-inch-thick oval discs. 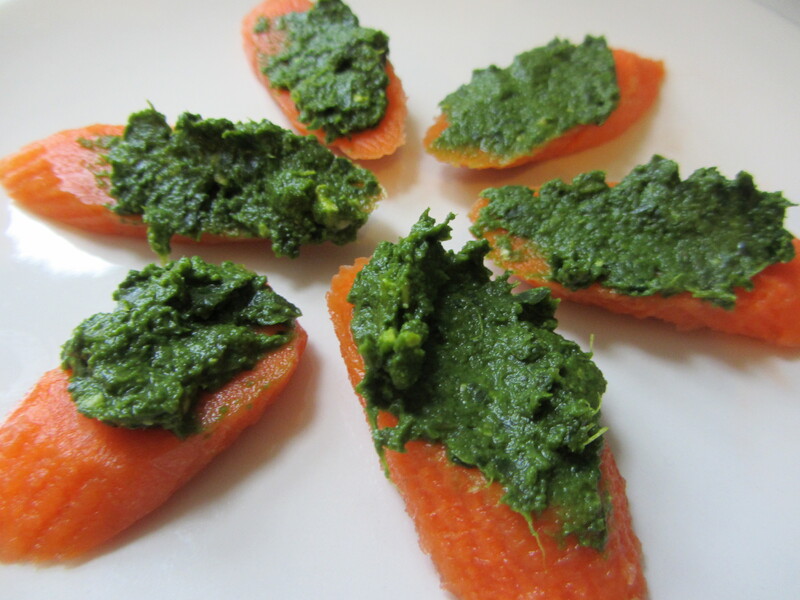 Use a spreader to smear pesto on each oval. Top with pea shoots, tomato and lemon wedges. I’m very impressed by all the elements you are able to pack into the lesson without it seeming at all overwhelming: the review, the actual cooking skills, the creativity of coming up with their own dishes, the chance to present their creations, the opportunity to learn about and share thoughts on something else (in last week’s case, the feelings represented in the book), the execution of their jobs, the responsibility for one’s station/implements and the overall following of directions…..all without losing the fun quotient. No wonder the kids love coming! You’ve really created something special so kudos to you!